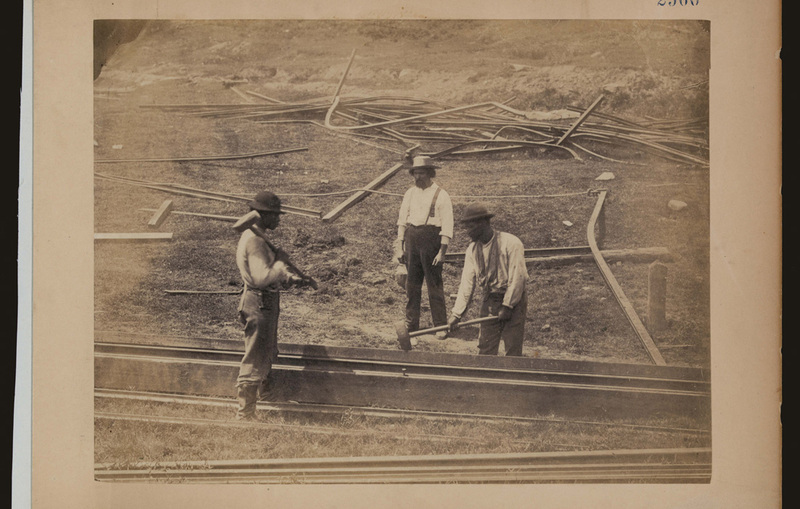 African American laborers, free and contraband, worked for the Union Army to build and repair rail lines across the South. Note the bent and broken rails scattered in the background, signs of earlier destruction. Source: Railroad construction laborers at work.